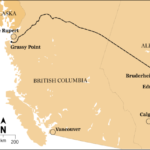 There have been a number of ULCV groundings but thankfully, thus far, without last consequence. 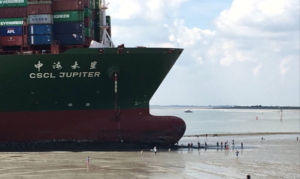 One recent example was the 13,300 TEU capacity CSCL Jupiter which ran aground as a result of steering failure at a speed of 13 knots in the Scheldt. She was heading downriver from Antwerp to Hamburg at the time. 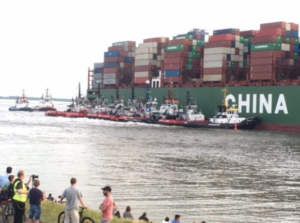 She was fortunately refloated on high water with the assistance of no less than 10 tugs. 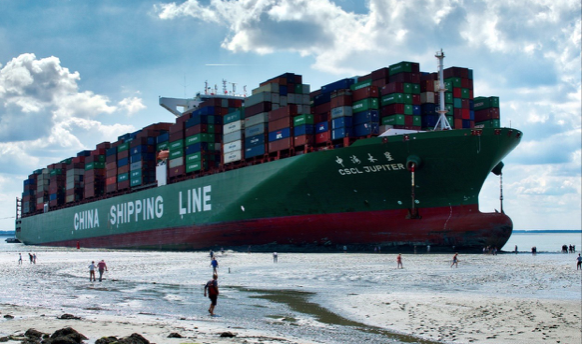 In a previous incident in February 2016, the 19,100 TEU CSCL Indian Ocean grounded in the River Elbe while on passage upriver to Hamburg, causing major disruption. Having grounded at high water she was finally refloated after six days using 12 tugs thanks to the good fortune of a Spring (very high) tide. 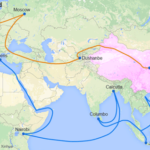 Without doubt, ULCVs represent economic benefits in terms of the unit cost of carrying goods across the major trade lanes but to date, other than a small number of trial runs from Asia to the U.S. West Coast, all ULCVs above 15,000 TEU capacity are employed in the trade loops between Asia and Europe. 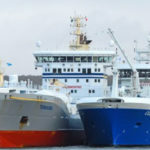 In a recent study commissioned by Drewry it was concluded that “scale economies from megaships only work for the total supply chain if terminals can increase productivity in line with increases in vessel size. Cost savings between an 8,000 TEU and a 16,000 TEU vessels “peak at only 5% of total network costs with economies of scale diminishing as vessel sizes rise beyond 18,000 TEU”. 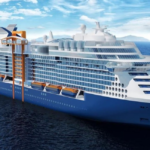 On the other hand, the study did support theoretical cost savings of over 20% between operating an 8,000 TEU vessel and an 18,000 TEU ULCV but also concluded that the benefits increase only marginally once sizes rise to the 22,000 TEU level. For its part a report issued by the OECD’s International Transport Forum expresses concern that the cost benefits may be over-exaggerated. The report commented that “the savings realized by the latest generation of ULCVs are four to six times smaller than the savings achieved by previous rounds of upsizing. In addition, approximately 60% of the cost savings are related to more efficient engines and not to scale”. The reality for main line container ports is that ULCVs require infrastructure development to accommodate their length, beam, under keel draught and air draught, meaning additional dredging or even the raising or replacement of bridges if they wish to attract or simply maintain business. From a purely terminal perspective, often overlooked is the need for quay wall strengthening and fender upgrading in addition to dock gantry crane upgrades to accommodate the handling of 24 rows of containers, with a requirement for 25 rows a distinct possibility in the near future. These are all major investments if carrier expectations of productivity and minimization of time alongside are to be realized, not to mention the immense pressure on terminal take-away in the form of rail and/or truck capacity. 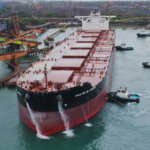 With the likely introduction of 24,000 TEU capacity ships by 2020 another round of investment will be needed in Asia and Europe but also globally as dozens of smaller ULCVs are cascaded into regional and North South trades. Add to this, the very small number of shipyards that have the capacity to accommodate these vessels for emergency repairs, there is much to be considered as we move forward.